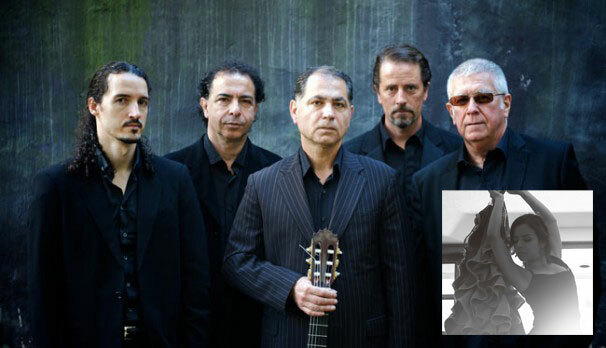 Arrebato Ensemble are outstanding musicians led by acclaimed flamenco guitarist Greg Alfonzetti. Merging original music with contemporary flamenco, they create a passionately moving musical style with an intensely international flavor. The music of Arrebato Ensemble excites audiences and critics alike with their dynamic presence and joyous sound, appealing to audiences from the flamenco aficionado, to jazz and world music fans, to lovers of fine chamber music. The instrumental line-up includes cello, double bass, oud, saxophone, harmonica and percussion, with a result that is arresting and hauntingly beautiful. Performances at WOMADelaide, Sydney Festival, Sydney Opera House and at the International Australian Festival of Chamber Music, have established Arrebato Ensemble as an important arrival on the Australian music scene. Arrebato Ensemble’s second album Absolución was nominated for Best World Music Album at the 2011 Limelight Awards. With original compositions and orchestral soundscape, Arrebato Ensemble will take Festival audiences on an unforgettable musical journey.